Whether captive or non-captive, consumptive or non-consumptive, targeted or non-targeted, guided or non-guided, wildlife tourism activities have traditionally been dominated by an anthropocentric worldview that recognizes wildlife only for its extrinsic value. This chapter argues that the advent of the Anthropocene provides an opportunity for humans to accept responsibility for how they engage with animals in tourism settings and ethically reassess this engagement. 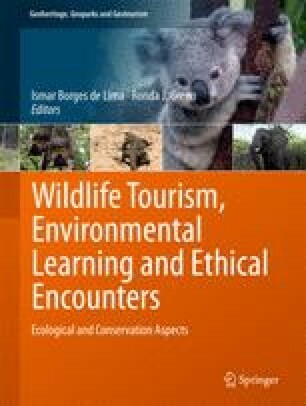 Reviewing theories of ethics dealing with animals, tourism, the environment and conservation, the conclusion is drawn that in order to effectively manage wildlife tourism for the equitable benefit of both humans and wildlife, and thus create a viable wildlife tourism ethic, valuable lessons can be extracted from an approach that embodies compassionate conservation.